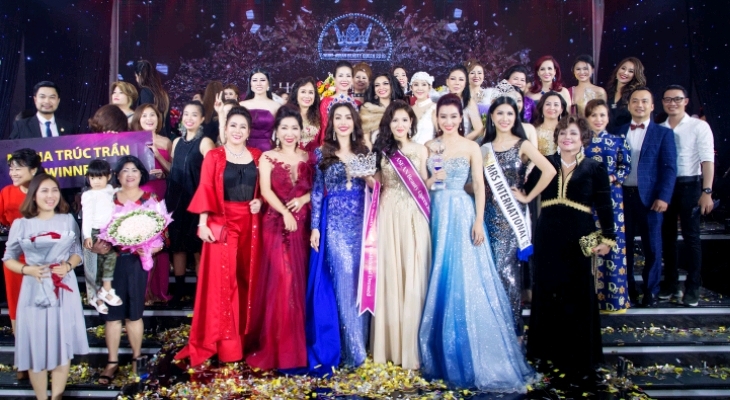 On January 17th, 2019, at the Adora Luxury, the Gala Dinner and honor ceremony of WLIN – Asean Beauty Queen 2019 took place successfully with the presence of over 300 entrepreneurs in Asean region. This is an annual activity organized by Women Leaders International Network – WLIN Global with the companion of Professional Image Academy – Pro Image and is executed by Nam Huong Media & Event. The Gala Dinner and honor ceremony of WLIN – Asean Beauty Queen 2019 is an occasion to review the operation situations during a year and also an opportunity to show gratefulness to all women leaders who have contributed to the development of WLIN Global. These individuals are active in the business and contribute to the community. They are the ones who inspire and give power to other members. This is also the special gift from WLIN Global for women leaders who dare to challenge themselves, dare to change, dare to face with failure. The event gathered over 300 entrepreneurs in Asean region along with the Advising Board – Those are always on the way with WLIN Global during past few years and have given significant contribution to the development and success of WLIN Global. For the first part of the program, Ms. Nguyen Thu Huong had a report to summarize the activities and outstanding achievements that WLIN Global earned in 2018 with the system is increasingly expanding in many countries in the world. This is a truly proud of Ms. Nguyen Thu Huong – Founder & CEO of WLIN Global. Besides creating a women leader community with the slogan “More beautiful – More successful – Happier”, Runner-up Mrs. World Nguyen Thu Huong always emphasized that WLIN Global aims to grow young generation who will become women leaders in the future. With such an inspiring presentation, Ms. Nguyen Thu Huong also send the most sincerely thanks to WLIN Partners, women leaders of WLIN Global who have been with her to build Network more and more developed. In addition, the program is also a chance to launch “Sing to build” project (Non-profit project in order to re-build houses for affected areas) whose ambassador is Sunny Dan Ngoc – a student of Pro Image Academy. She was also honored and certificated as the best student and the title “Princess of the year”. After 4 days having a strong attachment to various activities in WLIN – Asean Beauty Queen 2019 with many practical courses from Pro Image such as the art of communicating on tables, the art of shining in event, the art of public speaking, catwalk and stage skills courses, 18 women leaders of WLIN – Asean Beauty Queen 2019 has felt more confident and dare to get over their limitations. As a result, women leaders in WLIN Global are becoming “More beautiful – More successful – Happier” and they were truly shining on the night of Gala Dinner and honor ceremony of WLIN – Asean Beauty Queen 2019 with these professional and art performances prepared by our 18 candidates. With fairness voting by advising board, the event chose 6 excellent women leaders of WLIN Global to participant in presentations with the topic “The role of women leaders in new era”. 6 women leaders gave many multi-dimensional concepts about the role of women leaders in new era. 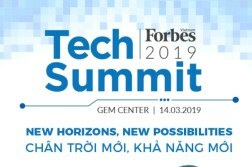 Having an incredibly convicting presentation, the Queen of WLIN – Asean Beauty Queen 2019 has belonged to Ms. Tran Thuy Ngoc Truc – Director of Green Bamboo Media – Vice President of WLIN Charming. The night of Gala Dinner and honor ceremony of WLIN – Asean Beauty Queen 2019 took out beautiful to each moment. Thanks all the members of WLIN Global for working together to spread good values to community. We wish WLIN Global will have considerable developments in new year 2019.